Please send me more information about Artesia Apartments. Monday - Thursday 8:30 a.m. to 6:00 p.m. Friday & Saturday 8:30 a.m. to 5:00 p.m. Sunday 1:00 p.m. to 5:00 p.m. Walking Distance to Shopping, Dining, & More! Introducing Artesia...A brand new apartment community in Covington, La., offering a sophisticated lifestyle in a convenient location. Live the good life with our luxury 1 & 2 Bedroom apartment homes with custom finishes. Our oversized apartments are the largest in Covington, La. Each apartment home offers wood-style flooring, crown molding and plantation style blinds with 9-foot ceilings throughout. Kitchens feature energy efficient appliances with double stainless steel sinks, multi-tone granite counter tops (in select units), and custom cabinetry. Exercise in a modern 24-hour fitness center featuring state of the art Precor fitness equipment and on-demand yoga. Reserve a poolside cabana at the resort style swimming pool, with poolside food delivery available. Utilize our garages for covered parking and additional storage. Artesia brings you the luxury lifestyle you deserve. Artesia is a gated community, offering the perfect balance of convenience and serenity. Nestled behind the Pinnacle Nord du Lac shopping center and bordering the Estates at Watercross neighborhood, Artesia is a one of a kind find. Ask our team about the many services available to you at Artesia; such as on-site car detailing, personal training, pet care, package & parcel delivery lockers, free bicycle and movie rentals and much more! Ask about our smoke free building. 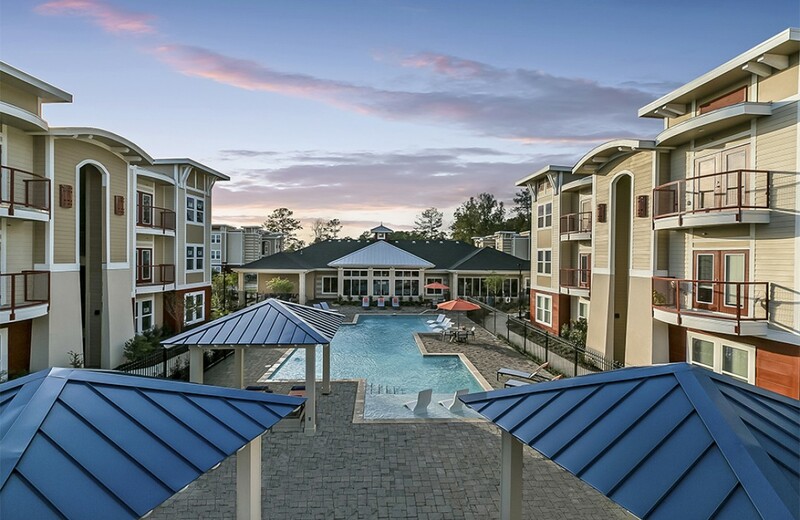 Located in Covington, La., Artesia Apartment Homes is a peaceful lifestyle with plenty of nearby shopping, entertainment, and dining spots while also just a short drive to St. Tammany Trace and the charming, downtown Covington historic and arts district. You'll fall in love with your new apartment home and "Live the Good Life!" Had a one bedroom here and enjoyed my stay. Beautiful apartment and wonderful office staff that always took care of anything that was needed. I recently toured Artesia with one of my best friends that was potentially moving to the Covington area. All I can say is that I was completely blown away by Artesia! The staff here was top notch!! I’ve lived/visited many apts in the last couple of years and we were treated so well from the second we stepped inside. Hilary was an absolute pleasure! She was so knowledgeable about the apartment and area! !The manager even got up from his desk and greeted us with a smile and took the time after we looked around to ask us our thoughts on everything. The apts have all the high end finishes and we were very impressed!! My friend decided to not take the job in the area, but I would highly recommend Artesia!! Exceptional customer service! Everyone who works here is great. I LOVE living here! Artesia Apartment Homes is a very nice and quiet community, and the staff is very friendly and helpful. I love it here ! Excellent service and staff at Artesia. Leasing process was fairly smooth, all of the office employees are courteous and helpful. Hillary and Phil always make me feel welcome. I love my apartment and the grounds are beautiful. Two things that have been inconvenient is the narrow stairwells, as there are no elevators. It's a challenge to get furniture up the stairs, but if you're fine with 1st floor, then you won't have to worry about that. And second, the lack of trash areas available is a nuisance. 1st Lake, please, please, put trash cans next to the mailbox for residents to discard of junk mail. Also, the only trash locations for the entire community are located at the very front of the property, so its a far walk to get to the trash. Please, 1st Lake, put more trash receptacles on property, it will make a huge difference for your residents and also keep the grounds clean over time. Other than that, I love living here, it's relatively quiet, parking is great, and grounds are beautiful, and amenities are ample. Fitness center is spacious with plenty of equipment and mirrors. I would recommend to friends/ family. The apartments are awesome! Huge & spacious! Management is very friendly and helpful and they follow up with you to make sure your move in and everything is going well. Phil and Hillary are phenomenal! 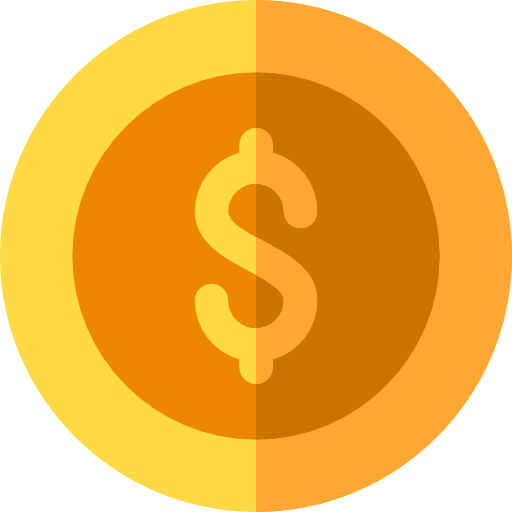 Wonderful service and always extremely welcoming and helpful! Very nice place, quiet and safe. Beautiful apartment. Great staff. We have lived at Artesia Apartment Homes for 2 months and love our new home, the staff and the entire facility. We have lived at Artesia for 2 months and love the apartment, the staff and the entire facility. It is everything it is advertised to be. I love the office management team. So professional and helpful in every way. Made my move in so easy and were so accommodating. Review I have lived at Artesia for almost a year now. The staff is fabulous!!!!! I am always greeted by name and with a smile:).They go above and beyond to create a good vibe and I am a very satisfied resident! World-class customer service! I LOVE living at 1st Lake’s Artesia Apartment Homes. The staff, notably Phil, Hillary and Annalise, have been so helpful during the move-in process and have been very timely in accommodating to a few minor requests I’ve had. In addition to the world-class customer service at Artesia, I like living here because of the amenities. The off-leash dog park is a great outdoor space, the fitness center is top of the line, and the communal swimming area is comparable to that of a resort. The units themselves are spacious, clean, and boast high-end finishes. If you’re in the market for a new apartment home, be sure to check out 1st Lake’s Artesia Home Apartments! I LOVE living at 1st Lake’s Artesia Apartment Homes. The staff, notably Phil, Hillary and Annalise, have been so helpful during the move-in process and have been very timely in accommodating to a few minor requests I’ve had. In addition to the world-class customer service at Artesia, I like living here because of the amenities. The off-leash dog park is a phenomenal outdoor space, the fitness center is top of the line, and the communal swimming area is comparable to that of a tropical resort! The units themselves are spacious, bright, and boast high-end finishes. If you’re in the market for a new apartment home, be sure to check out 1st Lake’s Artesia Home Apartments! I recently visited & toured Artesia & really saw how my friends were Living the Good Life” there! 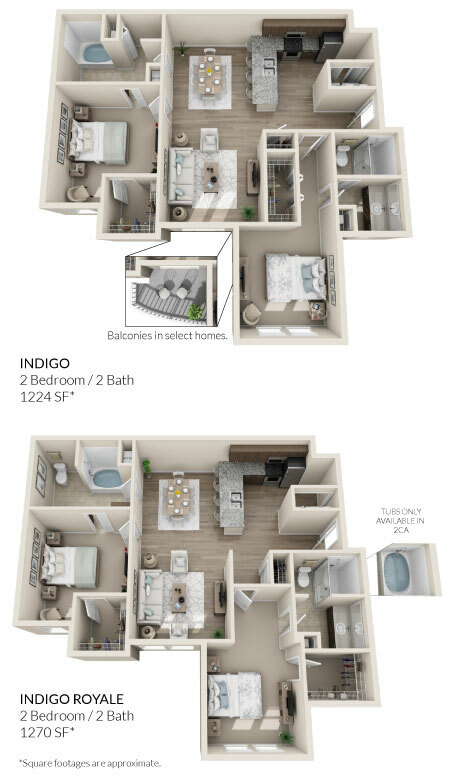 They live in a two bedroom, two bath, Indigo floorplan. The guest bathroom was SO SPACIOUS! Guests will not feel cramped or uncomfortable in this large guest bath or bedroom. There was also TONS of natural light throughout the apartment home. All of the appliances & finishes were upgraded to match the luxury living the community offers. I also loved meeting the Artesia team! Their Property Manager, Phil, & Assistant Property Manager, Hillary were so professional & friendly. They were excited to give me a tour of their community & tell me more about what Covington had to offer, such as biking the Tammany Trace while I was visiting friends. It was clear how proud they were of their beautiful community, which made me love it even more too! They also pointed out if my friends were to refer me to live there they’d receive a referral bonus & I’d have access to bike & movie rentals as a resident! I fell in love with their gorgeous Clubhouse, Business Center, Pool, Grilling Areas, & Fitness Center. Every corner of this community has a luxurious touch. I highly suggest renting an apartment home here so you can also “Live the Good Life at Artesia”! Thank you for making our move from downsizing from a 4 bedroom home to a 2 bedroom apartment a much more pleasant experience that we thought it would be. From the beginning process it has been an easy transition...the actual moving not so much! The grounds are beautiful and very well maintained, as I notice workers around every day and they are courteous and helpful...I see they work hard and I appreciate their efforts. The office personnel are welcoming and extremely willing to accommodate our requests. We look forward to enjoying our new experience in apartment living! Thank you all so much. Extremely pleased with the replacement of microwave.